A still shot from the video taken on the last dive yesterday at Lake Wazee. 1st time diving the US Divers UDS-1 triples and 1st time using my modified smooth rubber wetsuit. 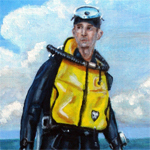 It took almost 10 hours to apply all the yellow striping to the wetsuit hood, beavertail jacket, and pants. Looks very cool though. 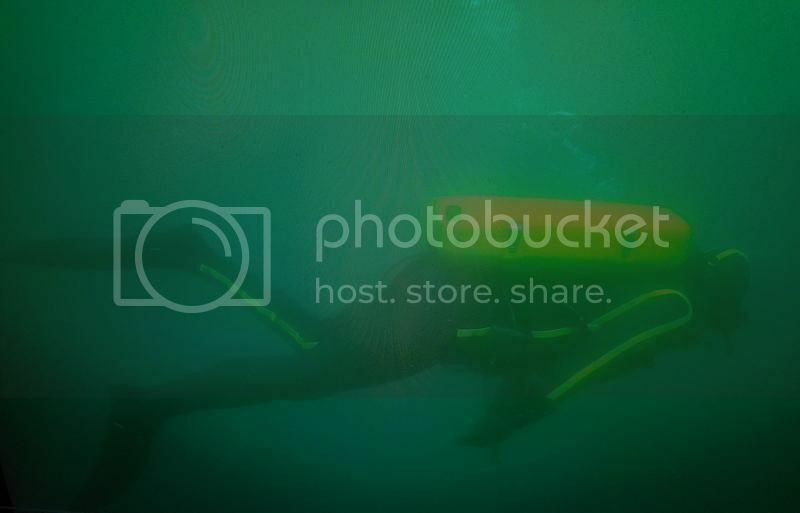 Still photo taken from underwater video footage diving the US Divers UDS-1 triples. Water looked especially hazy on video. You seriously neeed to bring that system to Crystal Falls my friend. We'LL get really good footage of you diving it. Very nice unit you have there. How did it dive? I thought it breathed really nice and I think SeaRat said that his UDS-1 system also breathed really well when he dove it in the past. I took his advice but I put 8 pounds of weight inside the housing on top instead of 6 pounds. I thought it swam good but was a little tippy since I wasn't able to get the straps as snug as they should have been. I had to guess on the weight I wore and I was just a little heavy. 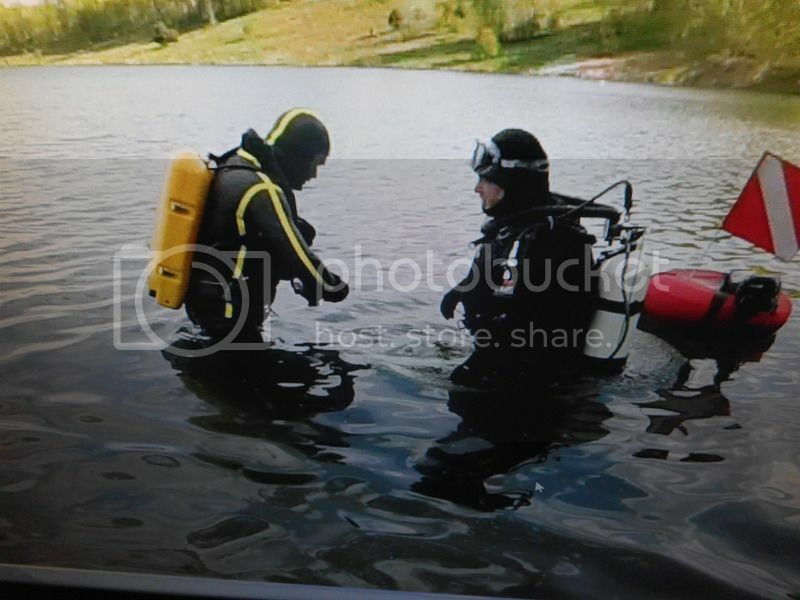 At the beginning of the dive it was perfect and then towards the end as the wetsuit compressed I seemed heavy. I think if I'd take out 4 pounds it might be great. Is there a clear lake in Crystal Falls to dive? When is that event? I told SurfLung he could try it next time so he has first chance. Very cool buddy! So what does that whole thing weigh? Very. A little cool, but clear. "Crystal Falls" is where Fortune Pond is located. Click DiverDon's little photo and you can see a video of diving there. That was shot with a GoPro just like your's I think. MUCH better visibility. I am very happy to see anyone using the UDS-1! It is a great system when it is balanced correctly. 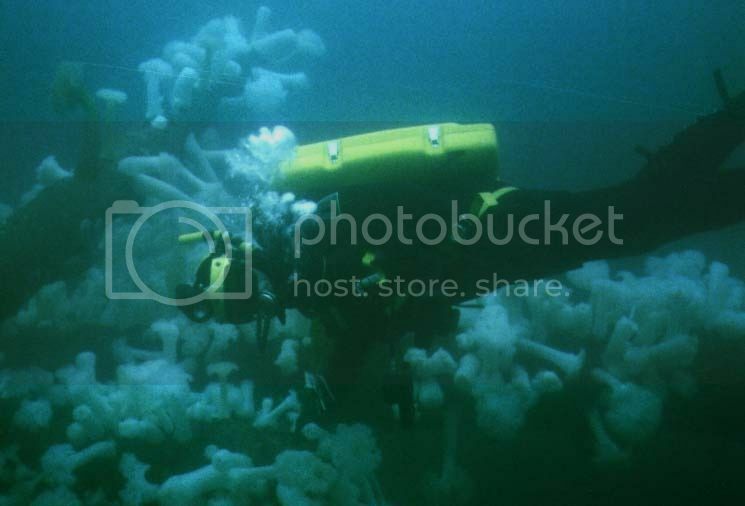 I recently found this photo of me using my UDS-1 in Puget Sound at the Edmonds Underwater Park. I had Bruce use my camera to get this photo of me. I am looking forward to seeing the video, even if it is a bit blurry because of the visibility.